Those who have suffered serious injury because of the careless actions or inaction of another party have the right to legal recourse and fair monetary compensation. Ellis Injury Law Firm provides aggressive advocacy to our clients in southern California. Our award-winning Anaheim personal injury lawyers work tirelessly to hold negligent parties responsible for their actions through the justice system and seek maximum damages for our clients. Regardless if your injury was sustained in an auto accident, on a slippery floor, or because of recalled household product, the resulting harm can have negative repercussions that undermine the quality of your life. Some victims will endure multiple surgeries, hospitalizations and treatments that cost hundreds of thousands of dollars. While a monetary settlement may never erase the trauma of your accident, it can help make sure that you have the funds needed for current and ongoing medical care. When searching for the right personal injury attorney, you want a law firm that possesses the financial resources, skill and manpower to take on insurance companies and corporate giants. Ellis Injury Law has received numerous legal accolades for their courtroom prowess and hard-won victories. A member of the Multi-Million Dollar Advocates Forum, our legal team is part of the prestigious American Board of Trial Advocates and regularly wins cases under the leadership of founding partner Andrew Ellis, who has been rated one of the nation’s Top 100 Trial Lawyers. We have been proudly serving clients throughout Orange County for more than 25 years, offering compassionate, dedicated representation on a wide range of cases. To arrange a free consultation with an Anaheim car accident lawyer at our firm, we invite you to call our toll-free number any time, night or day. We now have 20 California law firm locations to better serve our diverse client base. Attorney Andrew Ellis has been honored with membership in the Lawyers of Distinction directory, which recognizes those who demonstrate outstanding achievements for their clients, as well as a commitment to public service. His proven track record as a top trial attorney has also earned inclusion in the 2017 Best Lawyers in America. Andy Ellis has recovered more than $350 million on behalf of his clients, successfully litigating complex claims involving motor vehicle crashes, slip and fall injuries and product liability. Attorneys at Ellis Law represent victims of accidents caused by reckless driving, dangerous property conditions and other types of negligence. From day one, the legal team at our Anaheim personal injury law firm location will make sure that your total recovery is the number one priority, as we handle all paper work, court filings and negotiations. You will never have to deal with an insurance adjustor, and if the defendants fail to offer a settlement amount that accurately represents your pain and emotional suffering, medical and rehabilitation costs and loss of earnings, we stand fully prepared to take your case to trial. From our headquarters in Los Angeles and satellite office on 2400 East Katella Avenue, our lawyers work diligently to help clients heal physically, emotionally and financially from devastating incidents. We are full-service law firm that specializes in a broad range of practice specialties, from pedestrian accidents to police brutality. Our trial lawyers are among the very best in California, and our significant case results underscore our unwavering commitment to fight for justice and pursue every avenue of recovery. We work with the very best experts – from medical consultants and engineers to life care planners — to build the strongest case possible and maximize the value of your claim. Our attorneys are poised to help clients from Cypress and Riverside County to Yorba Linda and Buena Park. After carefully reviewing your injury case, we will give honest recommendations on the most effective course of action to protect your best interests, whether you suffered a slip and fall or were hurt in a workplace accident. 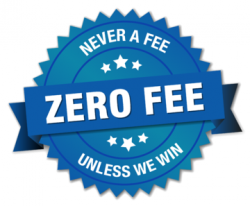 Leveraging our vast resources, we are able to take on cases on a contingency fee basis. What does this mean for our clients? This means there are no up-front costs to add to your current financial burdens. This enables our clients to retain a talented lawyer without risk, as we only collect a fee if we win compensation on your behalf. This arrangement means that you won’t owe us a dime in the event that your case isn’t successful. If you need legal guidance after an injury, we invite you to reach out to our Anaheim personal injury lawyer for a no-obligation case review.